Cantairí Chonamara is a mixed-voiced choir, with members from all over Connemara in the west of Ireland, that has sung together since it was founded in 1999. The choir is currently stepping up its contribution to the local community through more concerts and events. Cantairí Chonamara has a broad repertoire of short songs and longer choral works to draw from. It is also learning new pieces suitable for specific events. While the main focus is on classical works, the choir also has a range of lighter pieces in many styles. 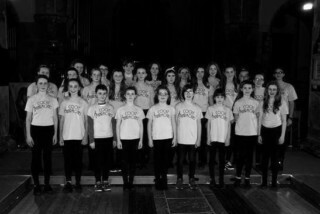 Coole Harmonies is a young choir founded in 2005 as part of Coole School of Music & Arts, Gort, Co. Galway for singers age 8+. The Choir, led by Noreen McDermott, Ph. D. Mus., meet every Wed evening for 3 x 10-week terms. The choir has built up an exciting repertoire which includes classical, traditional as well as new pieces generally sung in SA or SSA. They have taken part in the Peace Proms in Galway accompanied by the Cross-Border Orchestra of Ireland and have entertained audiences at the Cork Choral Festival. 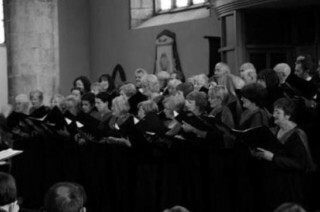 In Dec 2011, Coole Harmonies has been invited to sing with Cois Cladaigh in the latter’s Christmas concert in St. Nicholas' Collegiate Church, Galway. New members are welcome to join at the start of the first term in Sept and should contact Coole Music for details. Galway Baroque Singers is a mixed-voice choir based in Galway consisting of between 70 and 80 members. Established in 1983 by Musical Director Audrey Corbett, the choir is known for its clear, pure, balanced tone and is regarded as one of Ireland's most accomplished amateur choirs. Galway Choral Association is a mixed voice community choir conducted by Norman Duffy. The choir's musical range is wide, including classical and sacred works and contemporary songs. 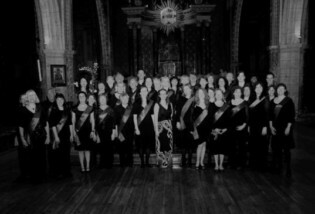 Galway Choral Association performs regularly in Galway, in other parts of Ireland and occasionally abroad and has recorded two cd's. The choir welcomes visiting musicians to Galway and has performed with various choirs and musicians from America and Europe. Auditions are held at the start of the choir year in September. The choir rehearses on Sunday evenings 7.30-9.30 in Galway city. 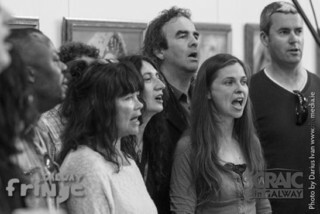 The Galway Gospel Choir is a mixed voice ensemble founded in 2001 and is conducted by Lyn Peaceful. Galway Gospel Choir performs a mixture of traditional gospel and contemporary repertoire. Over the years the choir has become a highly dedicated community of over 20 singers but remains true to its original ethos as a community joined together in harmony and friendship. The Galway Gospel Choir actively tours, competes and performs both nationally and internationally. Rehearsals are in Galway city: Wednesday evenings 7.30-9.30 and new members are welcome to try out our choir at the start of our term in September and January. IGNITE GC is a community choir that was set up by Keara Sheeran in 2008. It has 80+ membership and enjoys a vibrant array of Gospel, Soul & Pop music. Request to join the choir via their website under the "About" section. 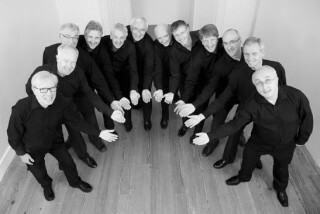 They enjoy hosting other choirs, travelling to choir festivals & running workshops. Their director Keara received a “Person of the year award” in recognition of her contribution to her community. The Choir recently received a certificate of excellence from the UK Choir festival also for their community spirit. Openings for membership are January & June. 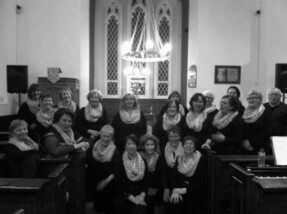 The Choir rehearse every Thursday 7:15 -9:15pm in St. Josephs church and are very much sought after to sing at events. This community choir began as a workshop event at the first Shorelines Arts Festival in Portumna, Co. Galway in 2007. The choir meets weekly Sept-May in a workshop format of two ten-week sessions working on a mainly contemporary/popular programme in 2/3/4 parts, accompanied and A capella for performance each December and April. We love to get together with the local Pen Pushers creative writing group and share a platform of music, poetry and prose and song writing on shared themes, visit the Retirement Village, and join other choirs for collaborative events. Omna are always delighted to welcome new members. "The choir offers a weekly meeting for practicing and learning ""world"" songs, and a voice workshop/singing tuition with Helen Webb. We have been around for four years now and have established ourselves as a friendly and welcoming bunch of singers who make a fantastic sound together. Being inclusive, we welcome everyone, all ages and cultures and we sing songs from many countries and traditions. We hope to provide a sociable friendly atmosphere for people to enjoy their creativity. If you like singing, world music, traditional music from all cultures and a good night out with some great people JOIN US!!"